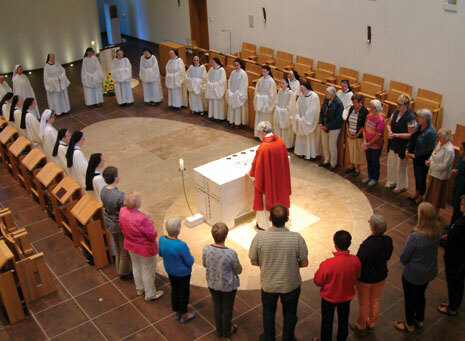 In the year 2004 the members of the Abdijgroep Koningsoord started studying the Rule of Saint Benedict. Next they chose texts of Thomas Merton to treat and discuss and later on the Exordium of Fr. Michael Casey. From January 2011 they started a psalm project, in every meeting one chosen psalm is central. They also study and discuss chapter by chapter from the book “Seeking God: The Way of St. Benedict” by Esther de Waal. They meet each other seven times a year: six Saturdays from 09:30 a.m. until 05:30 p.m. and one weekend from Friday 4:00 p.m. until Sunday 2:00 p.m.